If you are in search of a fresh artist with a long list of poppy-soul tunes, a massive stage presence and a heart of gold, “holla” at MAX. The New York-based singer probably spends more of his days on the road than he does at home, but it is just another symbol of his years of hard work paying off. He has toured with the likes of Hoodie Allen, Fall Out Boy (he is signed to frontman Pete Wentz’s label) and is currently opening for gnash on his North American tour. His debut full-length album ‘Hell’s Kitchen Angel’ dropped last year and received praise from critics and fans alike. 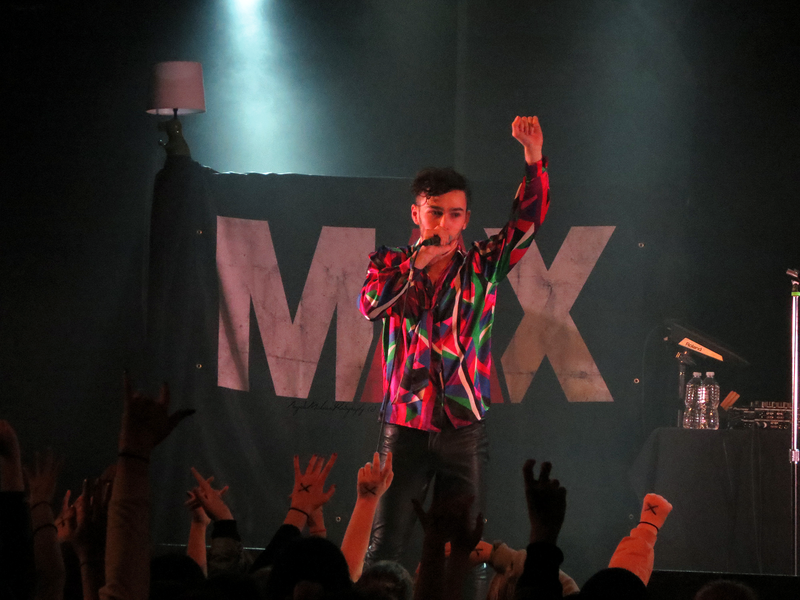 RUtv News met up with MAX before his show with gnash at The Opera House in Toronto to reflect on his big-city beginnings, star collaborations and matching tattoos. 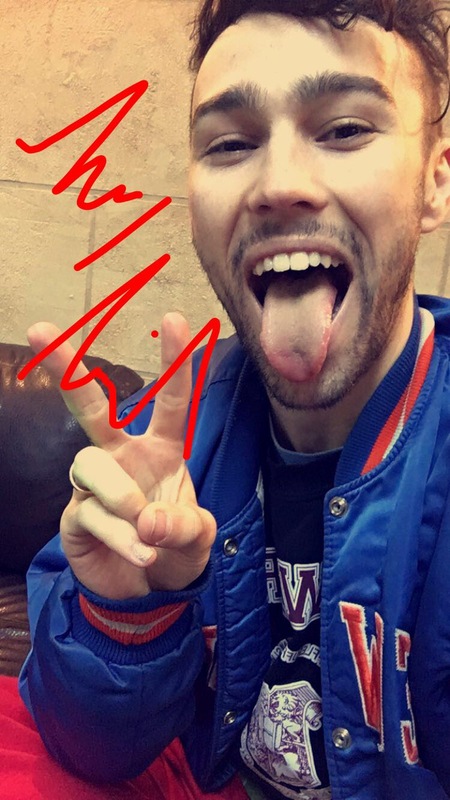 MAX snapped and digitally signed a selfie for us during our interview backstage in Toronto. 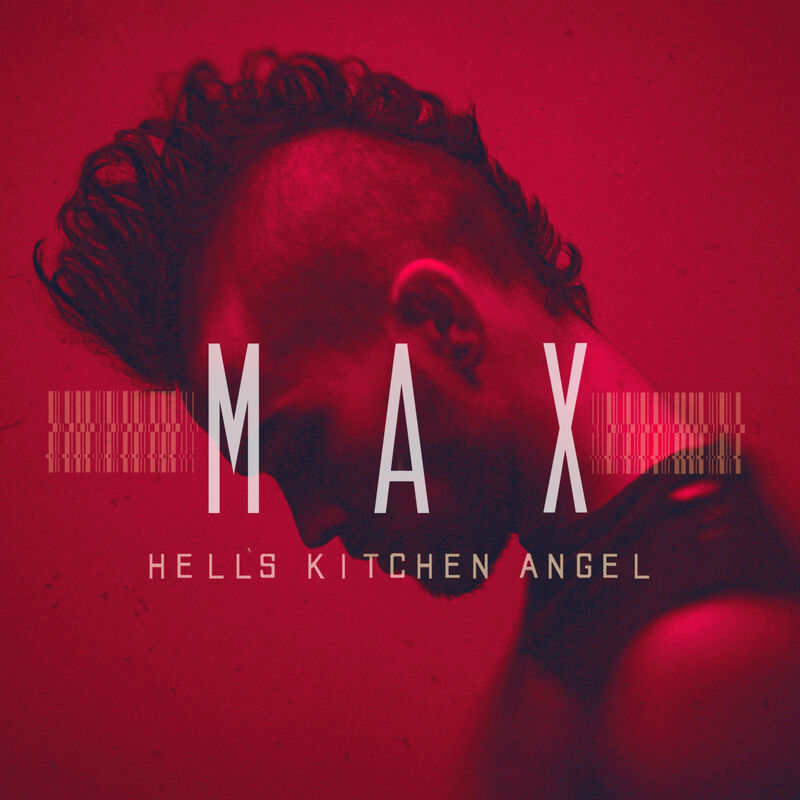 ‘Hell’s Kitchen Angel’ just celebrated its first birthday. What story does the album tell? The first song is about meeting someone and not knowing myself enough to be able to express my feelings to that person, but then I just did. The last song is called “Lost My Way” and it was about a teacher passing away and me realizing how short life is. “Lights Down Low” is the pinnacle of all of it. But that was the story I wanted to tell – the beginnings of where you grow up, which for me was Hell’s Kitchen, and taking that everywhere you go. On the road, we’re in so many cities and you lose touch with friends. I lost myself in the entire world of it and to end with that song “Lost My Way” and realize that you have to remember and make time for your roots was very important for me. You’ve collaborated with some of the best of the best, including Pharrell Williams, Audien and Patrick Stump (Fall Out Boy). Who’s left on your list? Billy Joel would be really rad to do something with. I love the new Kendrick Lamar album, Chance the Rapper too. I love the risks that bands and artists are taking these days. You know, Twenty One Pilots, all these different people that are getting big; what’s really nice about the mainstream is that I feel like it’s become a place of people who have defied the norm so much more than they used to. Pharrell is known for being sort of a musical genius. Did he give you any good advice? Pharrell was so Yoda-esque. One of my favourite things about him is that his word is true to his journey and vision because he never stopped being Pharrell. I think that even the simple words of telling me don’t change for anybody stuck with me because I did at some points in my career and I learned from it and I’m really glad I did because I wouldn’t have known otherwise and now his words ring true more than ever. People may be surprised to know you’re 1/2 of Party Pupils. How did that project with RyanEXOE come about? 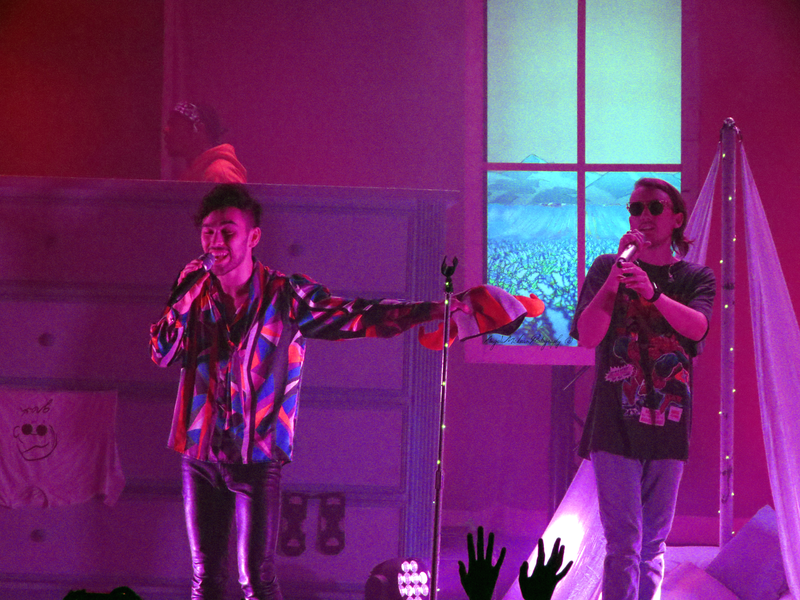 You recently re-released “Lights Down Low” and the new version features gnash. Did the collaboration come about naturally once you two decided to tour together? Yeah! There are some features and things that happen in a forced major label way, but with gnash we always kept saying, “We should probably do something together eventually.” There was a time where I had already had “Lights Down Low” out. He asked if we could collaborate and I was like, “You know, actually, would you want to put your story on this song?” He did and within five hours the verse that you hear was what it was. For fans who are coming to the shows, what can they expect? I definitely have little things in my show that are set and planned, but it’s really funny when we’re backstage and some of us in other people’s sets know what people are going to say next. I definitely do that a lot, but I think that I try to bring as much spontaneity as possible. My goal for every night is I hope people lose themselves in the energy. Do you have a favourite song off of ‘Hell’s Kitchen Angel’ to perform live? “Lights Down Low” is definitely one of the faves. The Party Pupils remix we did of “Holla” is really fun and it’s so ridiculous. People always say, “You gotta make a dance!”, and I don’t know, I’m not going to make a dance, but then this dance just sort of happened where I kind of dance like an inflatable car salesman person thing and now it’s really cool. Before this trip to Toronto, you stopped in North Carolina and went with a fan to get a matching tattoo. How did you connect with her and what does the tattoo symbolize? Her name’s Jenny and she reps North Carolina in my street team community. She said, “Hey, I’m going to get my first tattoo and I’m going to make it of your pitchfork trident and if you could come with me that would be amazing.” I’ve been really honoured to have people get tattoos of lyrics and whatever else, especially when they ask me to write it out because I have the worst handwriting. But we didn’t have anything after the show and I was like, you know what, hell yeah. She was sitting there and I was on vocal rest and so the tattoo guy was like, “What is this?”, and she’s like, “It’s for him and our thing.” I was just sitting there nodding and it was bizarre and so wonderful in the best way. I love the community that music brings and people like Jenny become extended family in a way and so that was pretty special. I mean, it’s a tattoo. Me and all these people, we’re connected for life. Do you have any places you have to hit up whenever you’re back in Toronto? I love exploring when I can. We always do the thrift shops. We got some stuff today. We’ve played the Molson Amphitheatre a bunch and it’s always rad. I also love Sneaky Dee’s. That place is a staple for us. 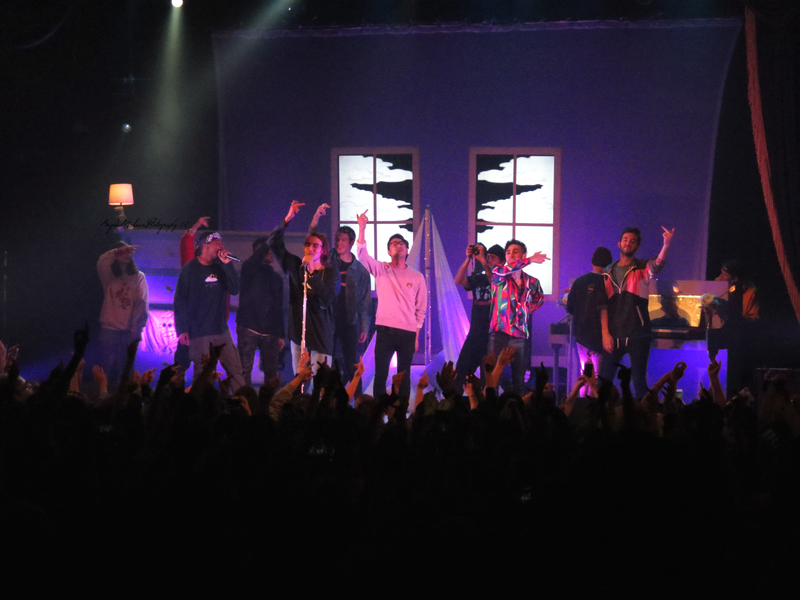 You wrap The Sleepover Tour on May 9 in Los Angeles. What’s next? We’re almost done planning my worldwide fall headlining tour. It looks like we will be in Australia, Asia and of course Canada – Toronto, Montreal and Vancouver. I’ve been so inspired by gnash. You’ll see the set that he does – he creates a world. I’m very excited to brainstorm my own little world to immerse people into. I probably will put an EP out with that tour too so a bunch of new music is coming, and a Party Pupils EP as well. Thank you, MAX! 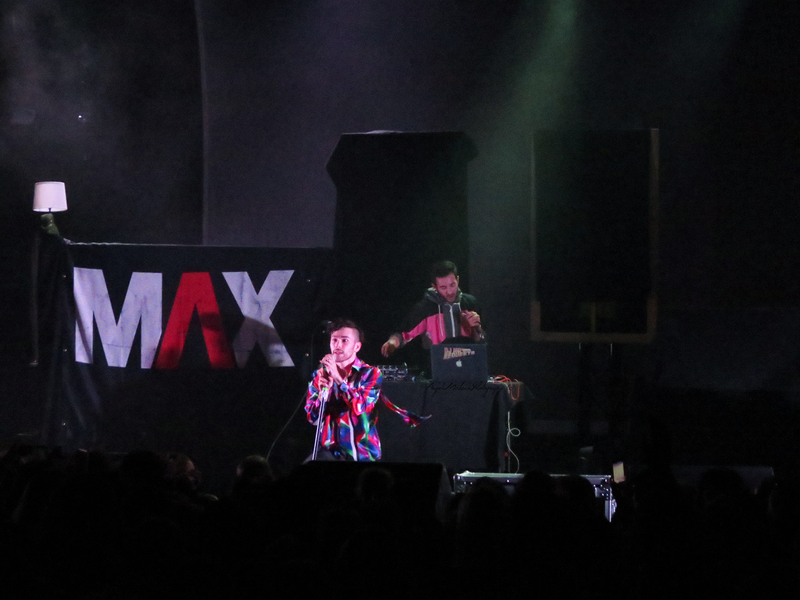 Keep your eyes locked to http://www.maxhellskitchen.com/tour/ for future performance dates. ‘Hell’s Kitchen Angel’ is available now.